Use an indoor agility ladder to train in bad weather and in wet and cold conditions. The Indoor Agility Ladder from Champion Sports is 15ft L and features a nylon side web with 11 metal rungs. The Indoor Ladder will not mark or scratch floors and it is shift and slide resistant, so you can use it in a gym. 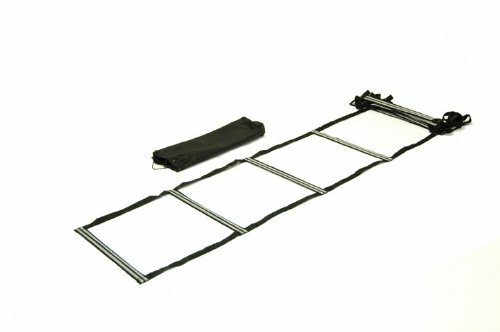 A carrying bag is included for the easy transport and storage of your agility ladder.